Did Action Man get a Republican to bare his bum? 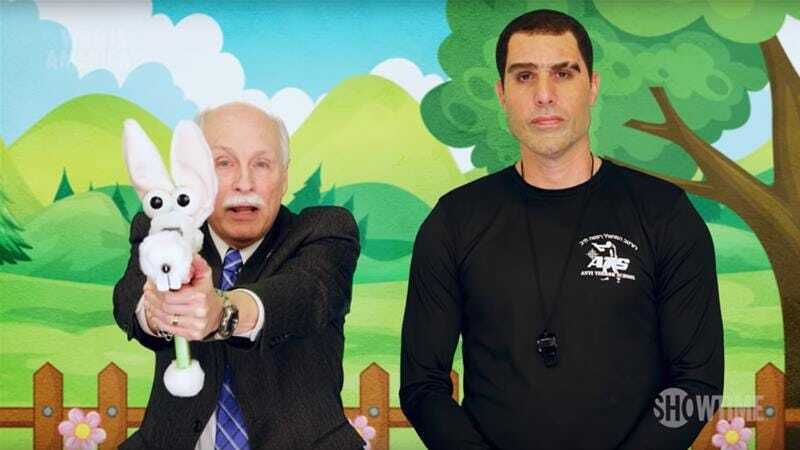 I was just watching Sacha Baron Cohen’s new show Who Is America? and his latest character Col. Erran Morad seemed a little familiar. Specifically the shape of Morad’s head and the eyebrow with a little nick shaved out. The “anti-terror expert” had gun lobbyists gleefully talking about arming children last week and this time out was convincing a chap to drop his trousers but I’m sure I know him from a different playbox. Is he Ali GI Joe? Morad looks like Palitoy’s Action Man to me. I’m sure I had one that had a sliced eyebrow like that though I can’t find a pic to confirm. Did find this though.